Press releases are how journalists receive information about news stories that they may want to feature in their publication. Creating them is a very useful skill if you have a story or an event that you would like to get the word out about, perhaps through a local newspaper, radio station or website. But if you haven’t worked in marketing, journalism, or some other form of media, then press releases may be totally foreign to you, so we would like to explain what they are, how they work, and give you a template to create your own press releases for reaching out to press in your area. Press releases are short, factual news stories that are sent to the media to persuade journalists and editors to feature the story in their publications and programmes. They are not adverts. They may also be published on your own website and newsletters as a news item. So that’s what it is, but how do you make one? Well, press releases do have a standard structure which allows journalists to fish through the tens or hundreds or thousands that they receive and pick which ones are important or relevant. Let’s go over that structure. 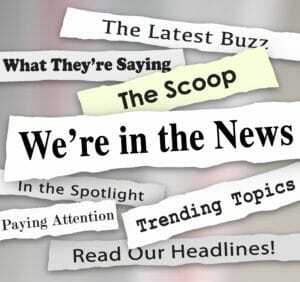 Is your story is newsworthy? Why would anyone want to know about your story? Who is it relevant to? Think about your audience – not the journalist, but the audience of the publication. It’s through their eyes that the journalist will read the press release. Does your story meet one of those criteria? Or is there a way you can slant it towards one of those ideas? Headlines are important. They are your sales pitch to the media. If the headline does not grab their attention they are unlikely to read further. Just remember, you are not writing a newspaper headline. Don’t try to be cryptic or clever. Journalists need to know immediately what the story is about or they will probably move to the next email in their inbox. They will rewrite a headline for their audience and can be as cryptic as they like. The template is essentially: ‘someone/something does something worthwhile’. Here are a couple of examples, using a story idea that a community garden is starting to provide free horticultural training to local young people. ‘COMMUNITY GARDEN TO PROVIDE NEW TRAINING PROGRAMME’ is too boring. ‘COMMUNITY GARDEN RESCUES NEIGHBOURHOOD’ is too cryptic and over the top. News is edited from the bottom up. All of the important information should be at the top of the story, with extra detail and context at the bottom. This is done so that editors can fit stories into the space they have by just chopping paragraphs off of the bottom, rather than fishing through for the important stuff. Paragraph 3: details/background – who’s involved, how it came about, when it happened, etc. Paragraph 5: shows where people can find more details, get involved, etc. You do not necessarily need 5 paragraphs. Keep it as short and to the point as you can. The first paragraph is very important. It should be able to stand alone like a news bulletin. The trick is to get all of the key points in without giving away all of the detail, that way they want to read on. Think about how a news report begins on TV or the radio with a brief summary before reading the story. Now imagine your story was going to be featured in that way and what they would say to introduce it. That’s your opening paragraph. The next point will help you shape that paragraph. You should try to answer the questions ‘who, what, where, why, and when’ in the first line of the story after the headline. Not in detail, that will come after, but in basic form. It helps to write them out in bullet form before you start. You will also want to answer ‘how’, but that will probably be in later paragraphs. Third person means writing ‘he, she, they’ rather than ‘I, we, us’ which is first person. This both gives the text an air of professionalism and also makes it easier for the journalist to copy and paste what they need. However, if you decide to post the press release on your own website or newsletter, you will probably want to switch it to first person. The story focuses on who, what and when in the first paragraph. In the following paragraphs you answer how and why. If you have a story about a community garden that has started to train local young people in horticulture, that’s your who and what. The second and third paragraphs may talk about why it is important because of high unemployment in the local neighbourhoods that is leading to antisocial behaviour, and how it will work in practice, such as who will be doing the training, what facilities they have to offer, etc. Quotes are important and add authenticity and credibility to any story. Just remember that quotes are not there to add information as much as insight - a human element that helps us to feel and understand why this story means something. It’s ok to add some new info in the quote if needed, but make sure it is new and not something already included in the press release elsewhere. Cut the fluff. Journalists will contact you if they want to run the story and need more info. Keep it lean and it they are more likely to read the whole thing. Think ‘short, concise, factual, and interesting’. If your story has run onto a second page, you either have included too much information or you are trying to tell more than one story. Stick to one story and that story will be clearer and stronger. You can always write another press release if there is more than one story there. Extra info can also go in the Notes to Editors at the end, which is fine to run onto another page. Have a look at our example press release to see the format this should fit into. Start the page with PRESS RELEASE in caps, so no one misses what it is. Follow that with timing. All press releases are either ‘For immediate release’ or are ‘Embargoed until…(date here)….’ Which means the story cannot be published until after a certain date. Next put your headline and the body of your press release. Your headline should be in bold, and perhaps a font size or two larger than the body of the text. After your final paragraph write ENDS. After ENDS write ‘For further information contact…’ and put all of the appropriate contact details. Under contact details write ‘Notes to editors’ if you need to include any further info. Examples might include background information on the company or project (called a boilerplate), or a note saying that photos are available (this is usually better than attaching photos that will clog up their inbox). It is most likely a local news organisation or radio/television broadcaster you are trying to reach. You may want to contact the administrators of local social media community groups. You could also reach out to any larger publications or websites that focus on gardening, education or community work. The best way to send a press release these days is by email. You may need to make a couple of calls first to determine the best person to email it to. Paste the whole press release directly into the email body, rather than sending it as an attachment, as they are more likely to read it that way. Don’t be afraid to follow up with a phone call to check that they have read it. They get a lot of emails. Keep up the wonderful work , I read few posts on this internet site and I conceive that your web blog is really interesting and contains circles of superb info .